It's not a trip to Ireland without visiting some early Christian carved stone. This stone is called the "Boa Island Figure". It is a Janus figure (two figures back to back) and dates back more than 1000 years. 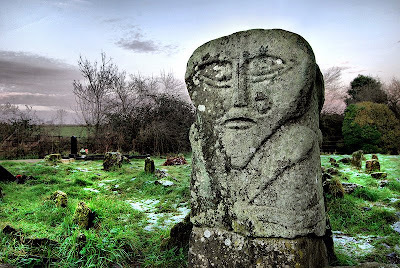 This statue features in just about every book on 'Celtic' art and even though it's just 15 miles from my house I never actually visited it before. We got to the small cemetery just before the sun set. It's a pretty amazing work of art. In general the weather was cold and damp. It didn't rain every day though. 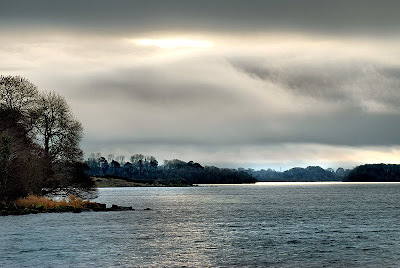 This was a cloudy day on Lough Erne. 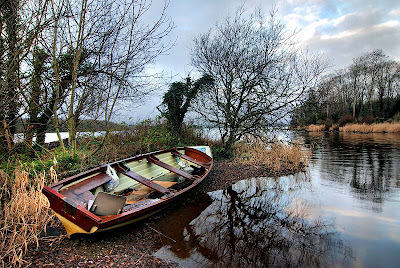 A fishing boat just waiting for the summer to roll around again. A house in progress. In this case it's our house in progress. 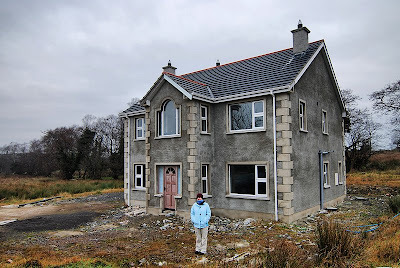 Located at "The Five Points" just outside of Enniskillen with views to the local mountains. It's weather tight but still needing quite a bit of work before it is livable. Looks beautiful. Thanks for the pics. Great pics but I'm confused- are you guys moving to Ireland? ?